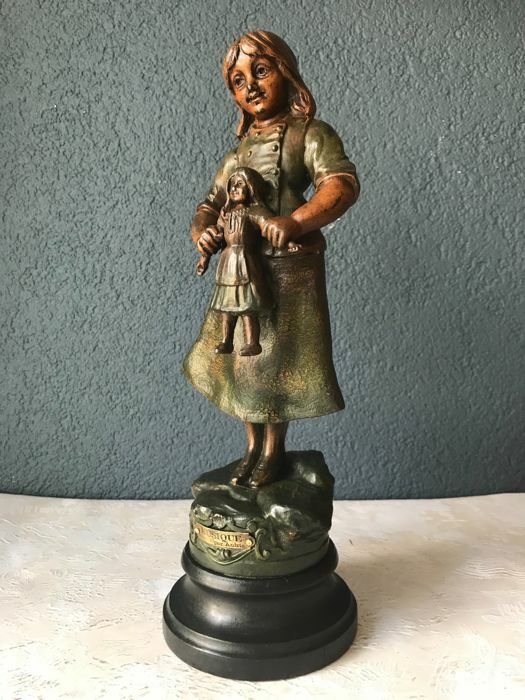 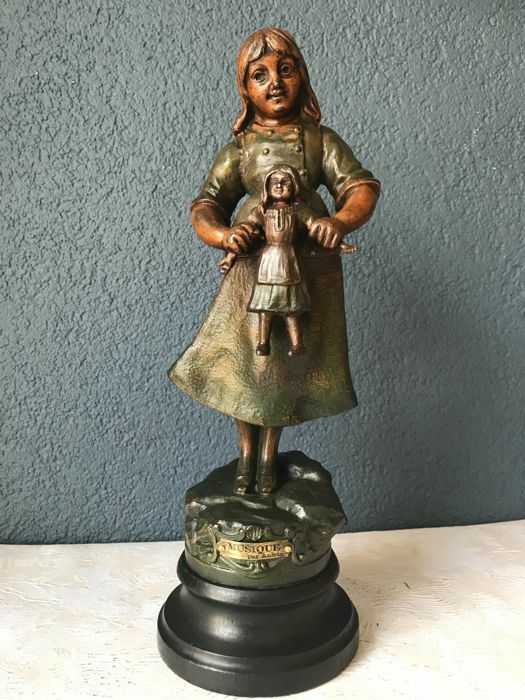 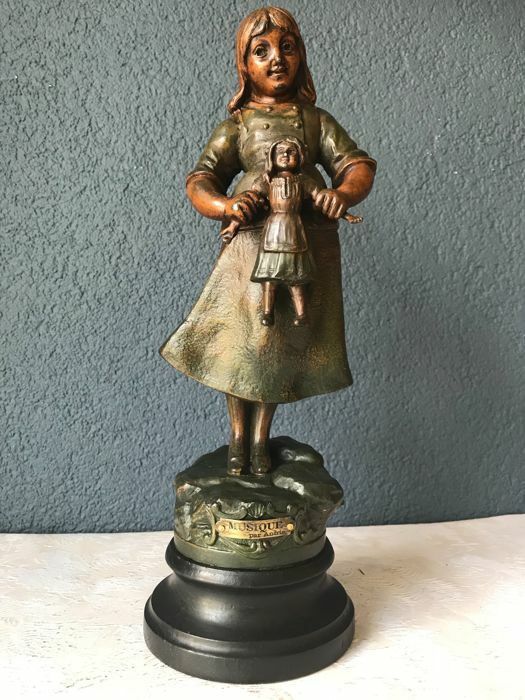 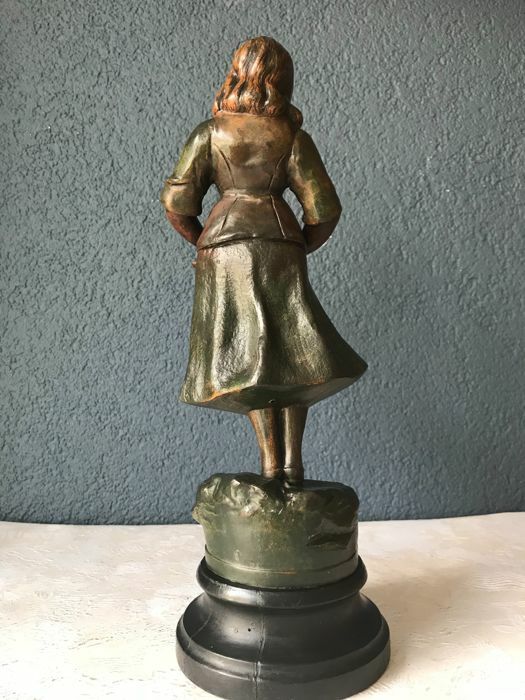 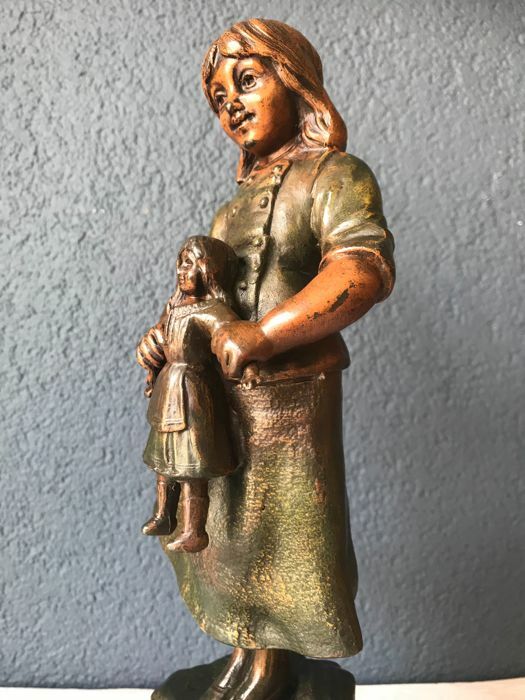 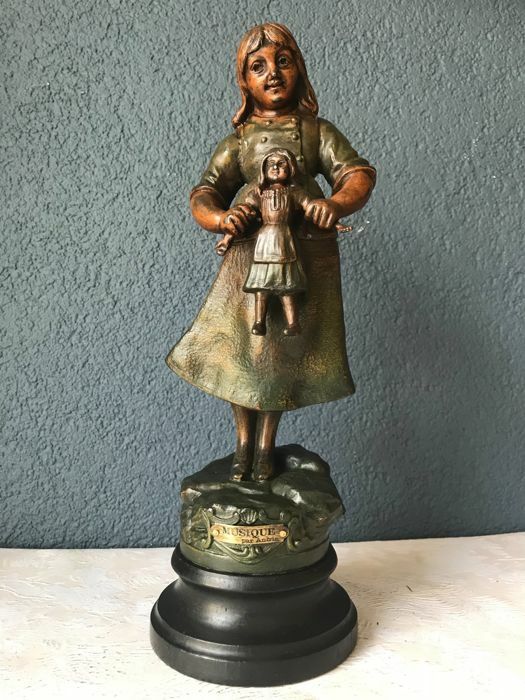 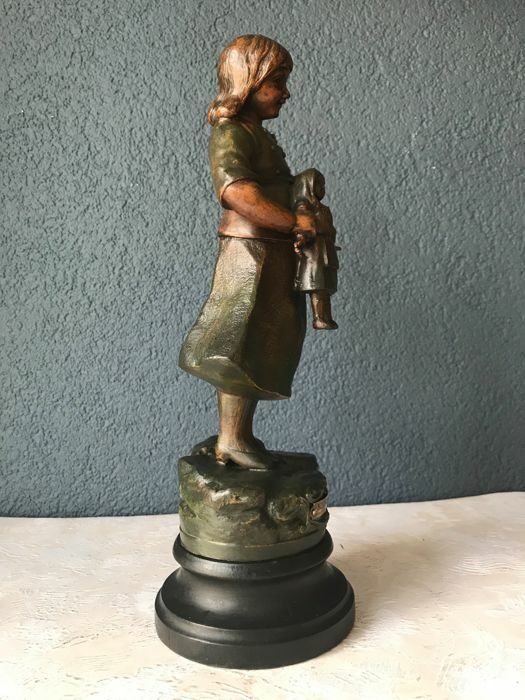 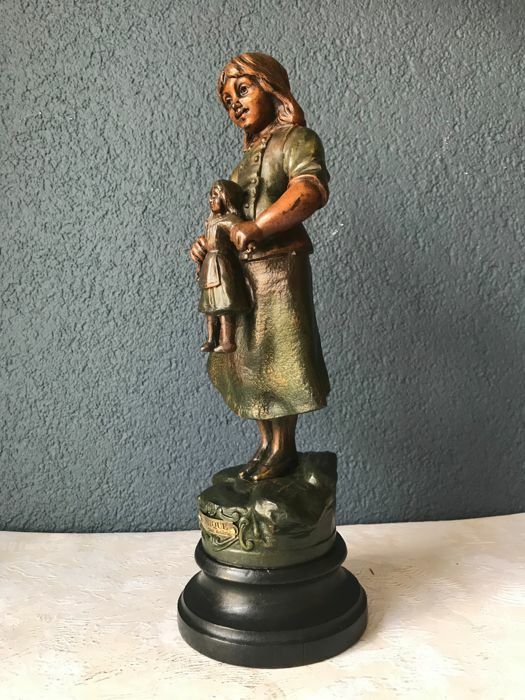 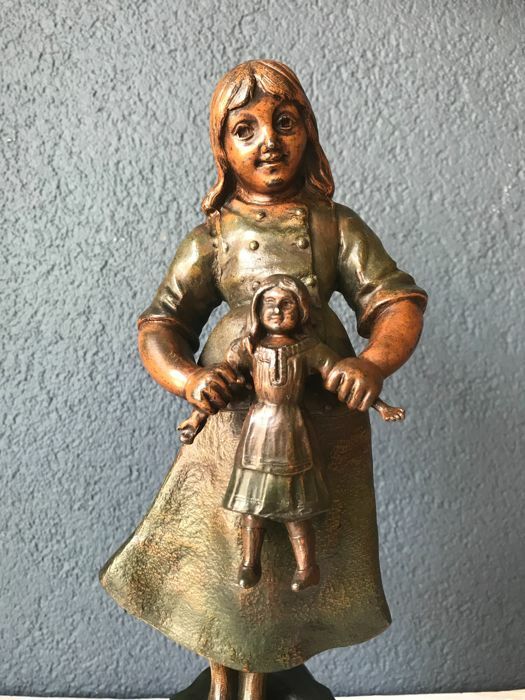 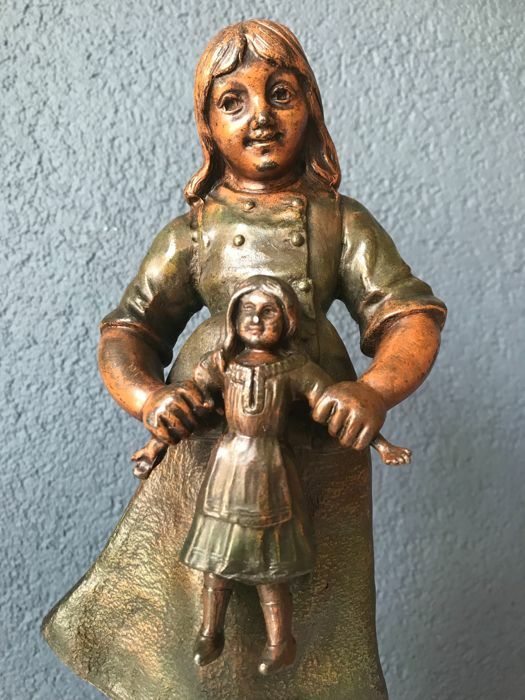 Beautiful lovely zamak sculpture of a child with her doll. 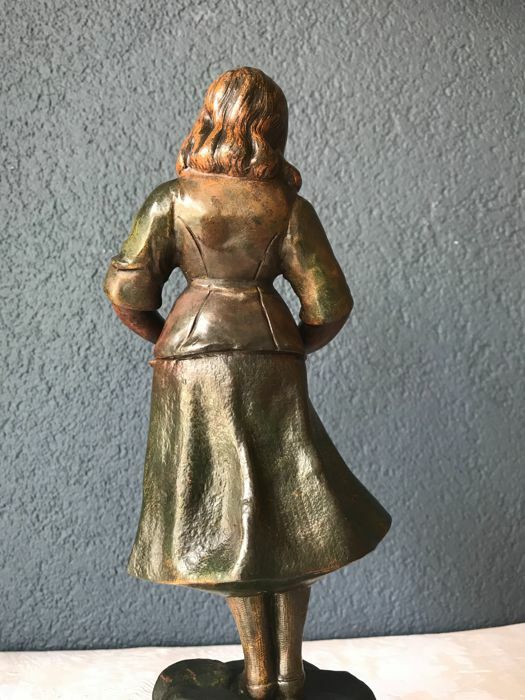 The statue is beautifully detailed. 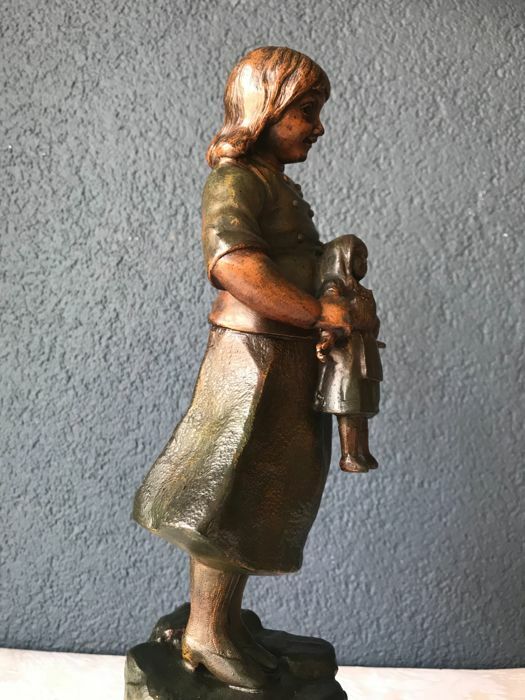 The statue stands on a wooden base. 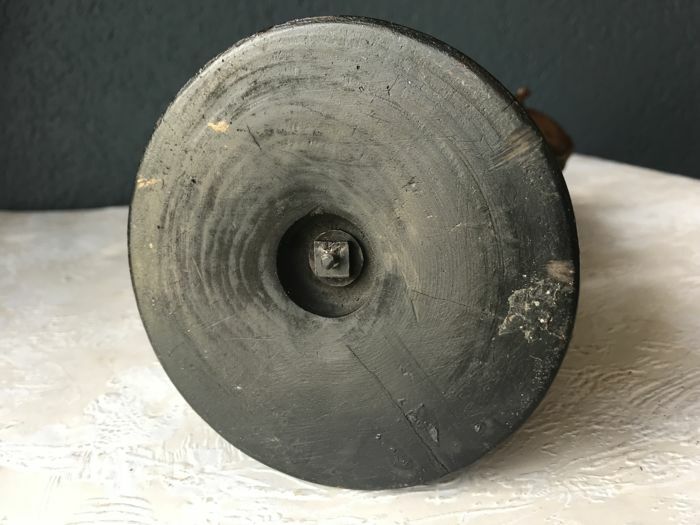 The lot will be carefully packed and shipped by registered mail.